As For Football’s College Football Show with your host Rob Wright. In this episode we briefly react to Army Bowl Bid before moving into all things Army vs. Navy Game related. 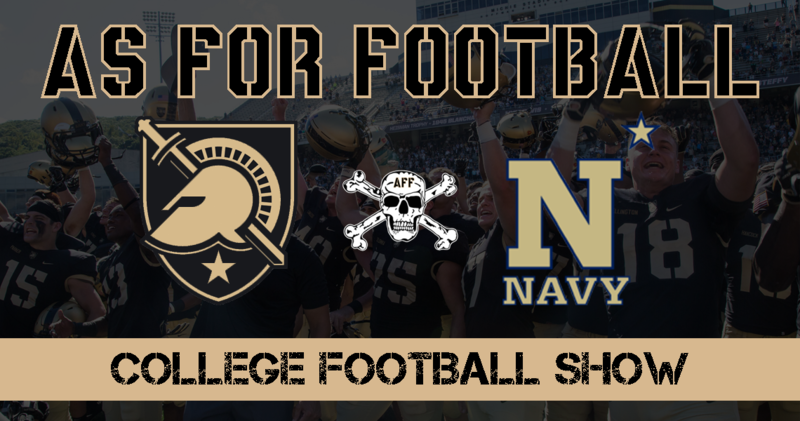 Rob and Dan react to the Bowl Bid (1:40), Placement Theories (2:32), Army vs. Navy Preview (5:07), What Should Army Do on Offense (16:43), What Should Army Do on Defense (20:01), Dan’s Favorite Army vs. Navy Memory (24:25), the Best Thing Rob’s seen all week (26:00), and the Cadet in the Red Sash Interview with Daniel “The Crazy Colonel” Ragsdale.